Well, you do. When you first did it, that was 40 years ago. As you get older, how do you overcome the challenges of playing Peter ... who never grows old? You're in great physical shape, but it's got to hurt a little. Actually, because I'm not trying so hard anymore... it's funny, it's a little easier now. The physical aspect for anybody...I don't care if you're 20 years old ... it's a very, very physical and tough role. You know, I'm probably more careful how I land. The only thing I've taken out is that I don't jump off the top of the doghouse onto the bed, because that was just silly. A silly thing to do to my knees! (we both laugh) And yes, my shoulders get sore and sometimes, my lower back, but it's nothing that sometimes a little Aleve can't help. I try to stretch and do as much core work in Pilates as I can. On the road, I'm not like a 20 year-old where I'm going to go out and party at night. Not with 8 shows a week. But I still have lots of fun. I think there's just a feeling of...you can take your moments in the show. You can take your time. Rushing or hyperventilating is not good for anybody. I'm not being very articulate about this, but it really, really has helped over the last 6 months. Is this your favorite role? It has become that because I know it so well and done it so often. There's a part of me that, like everybody, loves the joy of staying young. Peter lives moment to moment, and there's that bittersweet side that he can never change and have what the rest of us have. Yes, it's become my favorite and for many reasons. My children traveled with me when we first started. My husband (Tom McCoy) and I produced many of the tours. Don't you have family members in the show right now? Not right now. I did. I have one son who's in Germany with a company there. He's a dancer. Two of them work in the office in contracts and production. The only one on the road with me is my youngest daughter Katie McCoy, who is head of the wig department in the show, so I do get to travel with her. If Peter is your favorite role, what is a close second? Two of my favorites were the play Sylvia, because I'm such an animal lover, and Cat in the Hat in Seussical. That role taught me a lot about spontaneity as well...and ad-libbing. I think the one I enjoyed acting-wise was playing MaLynne in Steel Magnolias. I have so much respect for people who do drama 8 times a week. It took every available emotion that I had to maintain it. Those are shows that are hard to do. 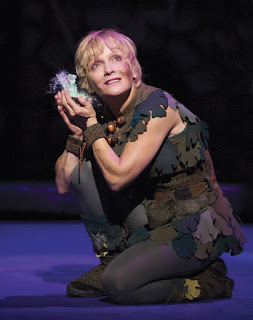 What about Mammy Yokum in Reprise's L'il Abner? You were terrific in that role too. That was great fun. It's a little odd to look at yourself in the mirror and play a really old, goofy-looking part but it was a blast. 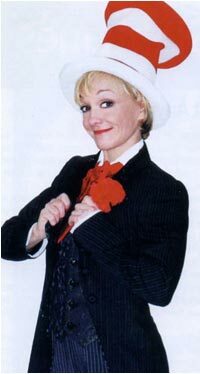 It was one of those roles where you get to be on and off stage and doesn't take that much effort but you just play funny. A role I would love to do sometime is Madame Thenardier in Les Mis. I was thinking about that as I watched Les Mis at the movies the other day. I thought, "That would be a great role!" I thought in the movie the role was kind of brushed over with a lot of schtick but I love it. It would be kind of up my alley as a character, especially as I get older. What other roles would you like to play? Anything. I would love to do anything from movies to television...Dancing with the Stars too. (she laughs) Probably when I get off the road, I'll stay home for a little while and do more regional work. 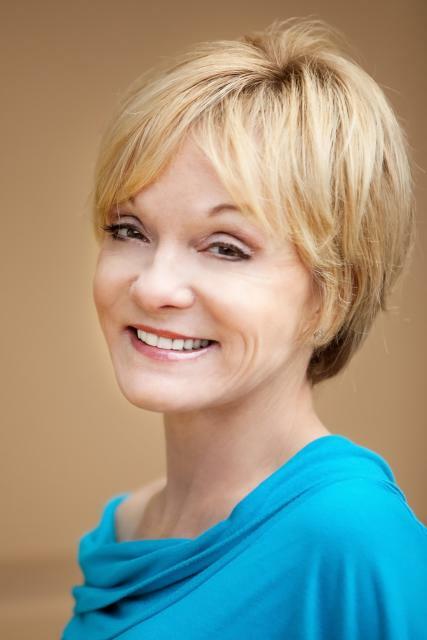 We have a conservatory of the arts for children that is near and dear to our hearts in Yorba Linda. There are about 500 students. Some of these kids are the most amazing, up and coming singer/dancer/actors.I don't know if it's So You Think You Can Dance or American Idol that's inspired these kids, but I'm watching these young folk grow up and become...have you ever seen Theatre Under the Stars in Texas? No, I've never been to Texas. They have a program there for their kids that has been around for over 20 years. They send out into the theatre world these wonderful young actors. So we're doing that as well in Yorba Linda. I'm so proud of that. Do you have any idols or mentors that have had stimulated your career over the years? I admire and respect lots of people. Marty Wiviott has been one of those people who has believed in me... and Glenn Casale (director). They've been coaches to me. I must say too that when you have a great partner and husband for 31 years - Tom McCoy - he has been my biggest champion in helping me believe in myself. I've seen all the Peter Pans except Maude Adams...Mary Martin, Sandy Duncan...they were all wonderful, but you are by far the best. I've seen you do the show twice already and look forward to seeing it again opening night, Tuesday the 15th. 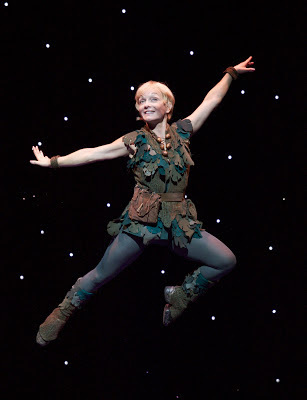 See the amazing Cathy Rigby as Peter Pan at the Pantages for two weeks only January 15 - 27! Cathy Rigby is the 2012 BWW Award winner as Best Actress in a Musical (Touring) for Peter Pan, as well as recipient of the Eddon Award for Best Lead Performance - Grigware Picks His Best of LA Theatre for 2012. James Van Der Beek and Kathy Baker co-star in The Gift at the Geffen opening February 7.